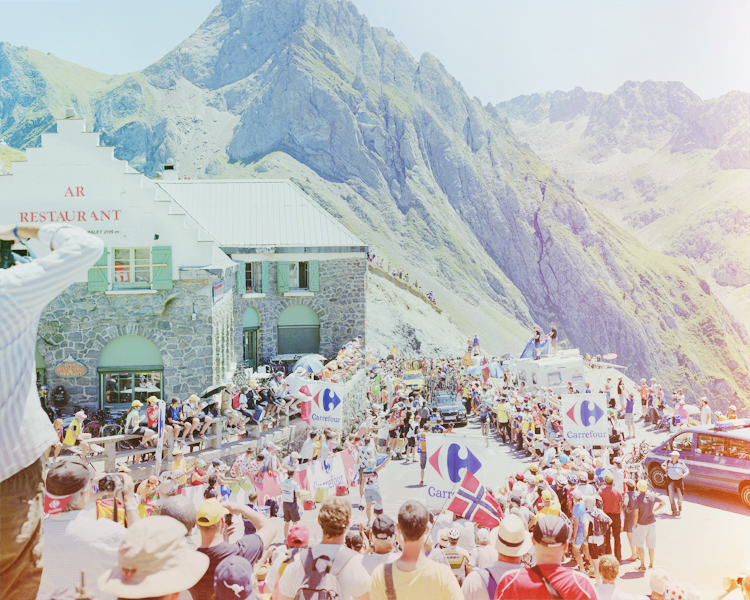 In the summer of 2012 I was lucky enough to achieve both a personal and professional goal and photograph the TDF on a traditional plate camera. I had thought about it for many years and how to capture the frenetic high paced sport with a camera that was not designed for that style of subject matter. The work I came away with is still some of my favourite and strongest pieces I've shot in my career and will be the basis of my next book. The next eighteen months will see me working on another project that I have wanted to shoot for many years. In 2015 I will be heading to Everest base camp to shoot a series of portraits of climbers and some vistas of the mountain itself. I will also be shooting a film of two climbers I met recently. One has already climber Everest and is one of the youngest females, and Britains, to climb the mountain. The plan is that I also climb to the summit with them. So in March I will be heading up to Scotland to start my training and work out the logistics of carrying a plate camera and film rigs whilst ice-climbing up a mountain with crampons and ice-axes.